And… the power went out. To be honest, I knew it was going to go out since the local power company had this date scheduled in advance to do routine maintenance. Pre-planned or not, I found myself feeling like Sunday morning was going to be a return to the dark ages. I like to be prepared and I had run a few contingencies through my brain on how we’d handle this outage AND still make it to church. Trying to get ready without power or water when you are a family of 7 kids and one mom (Dad was out of town) would need a little preparation. All the kids bathed the night before, we set out clothes (Bibles, shoes, coats, etc. 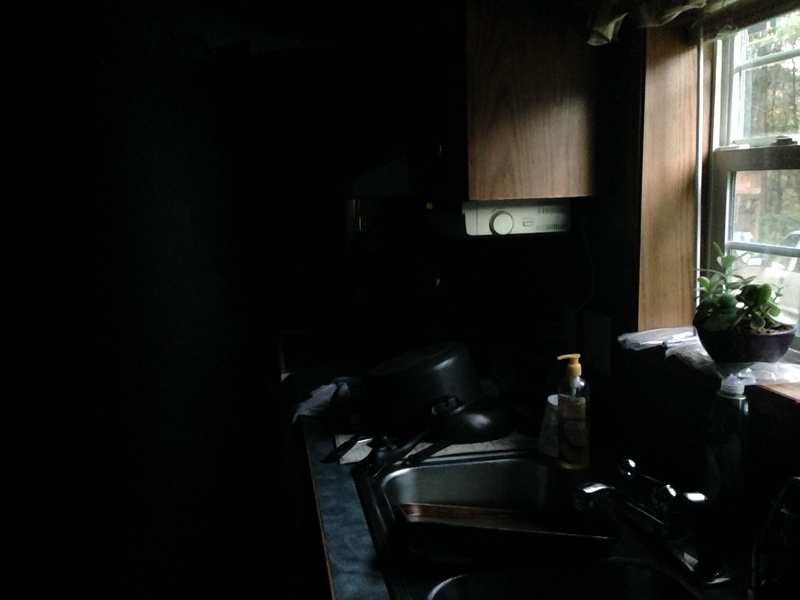 ), I got up early to get ready prior to the outage, preheated the oven at just the right time to hold enough warmth to keep breakfast toasty, and had water ready for teeth brushing and hand washing… I thought I was prepared, until the power went out. 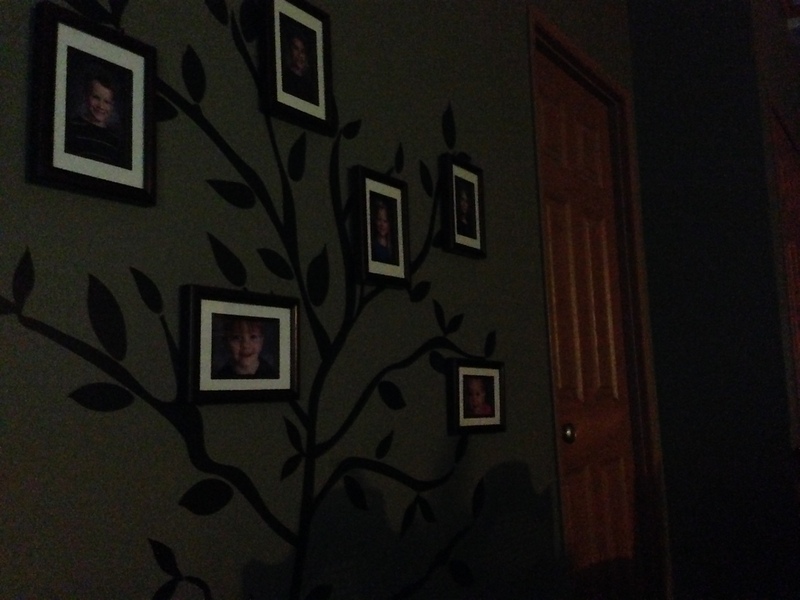 It may have been 7 am and I knew it was coming… but still, on the cold, dreary, rainy morning… IT WAS DARK IN THE HOUSE. How were we going to get ready when it was so dark? I hadn’t thought it would be so dim. So I set about opening all curtains and blinds to utilize whatever light could possibly illuminate the shadowy rooms. I continued through the house, when something unplanned caught my attention. Room after room I was perplexed, no longer by the darkness but by a faint golden glow. “What in the world is this odd coloring in my house? !” I thought. I laughed to myself as the reality hit. That odd, golden glow? It was the natural light of the early sunrise. In noticing the foreign presence of the glow of natural light, God was working on my heart and the teachable moment wasn’t yet complete. Driving to church I felt a curiosity about all the people in the houses I passed. Feeling a sense of camaraderie due to our joint “suffering,” I wondered how they were coping with the absence of power. As our van passed through town that Sunday morning I felt the nudge to look, really look. I drive past these same homes almost every day, something was different. I suppose you are thinking, of course silly Jillene, you opened your curtains too so you could see, why wouldn’t they? But here’s the thing: I know these houses and many of them never have their curtains open. I guess sometimes you have to take away power to let in real light. The invention of electric lighting was a game changer, no doubt. The ability to have light independent of the sun revolutionized our world. Electric lights compliment natural light but they cannot replace the value of sunlight. Perhaps we rely on electricity to illuminate out of convenience, habit, a need for control or simply because it is there. Sometimes you have to take away power to let in real light. Do you need the curtains of your heart opened so you can see the real light? Scripture says of Jesus, “In him was life, and that life was the light of all mankind. The light shines in the darkness, and the darkness has not overcome it.” What the sun is to our world the Son is to humanity. For earth there is no light more necessary, more basic than that of the sun. And for us there is nothing more life-giving than the light of Jesus which shines, and is so intrinsically powerful that no darkness can overcome it. And yet, it can be too easy to allow our lives to be “illuminated” by something other than God himself. Oh, these things sure look like God because they reflect the light of God, just like lightbulbs were meant to create what looks like the illumination the sun provides. But a lightbulb and the sun aren’t the same. The conduits of God’s light and the light of Christ himself are not the same. Making substitutions can be as easy as flipping a lightswitch. This isn’t about making the wrong choices, but this is about choosing the lesser… choosing the reflection instead of the true image. -We can light our lives with the feeling we get in worship instead of the one who we worship. -Thoughtful words and sharing the need for prayer give us warm, fuzzy feelings when what we really needed to be was the hands and feet of Christ to comfort the hurting or meet the needs of the suffering. -We can allow a sermon, podcast, e-delivered devotion to provide a lightbulb moment of understanding of scripture and never engage The Word ourselves. Don’t misunderstand me, these things are not wrong, but they were never meant to be ultimate. When we rely on the lesser we miss out on the greater. You know what? God knows this about His creation. He knows that over time we will come to replace Him with His blessings: the very things which draw us to God, the very things designed to teach us about Him, the very things given to help us live in God’s example. Are those things that usually satisfy you, guide you, fulfill you just not cutting it? Maybe God is taking away the power so you can open the curtains to His real light? 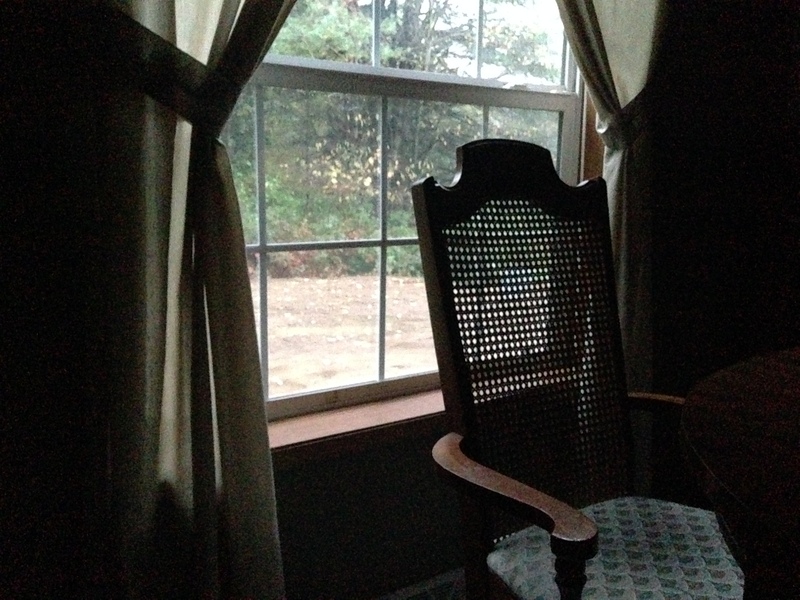 If taking away the power is what I needed to notice and allow real light into my home, would I make the conscious choice to open those same curtains when the power was restored? What about you? What will you choose? Where do you need to take away the power of the lesser to let in the greater, real light of God?